With advanced design/build capability, E. C. Ernst is equipped to handle an expansive scope of industrial projects. From high-tech clean rooms to automated process plants, to power generating stations, E.C. Ernst meets every challenge. 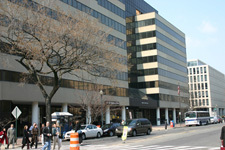 In addition to new projects built from the ground up, E.C. Ernst expands existing installations while facilities remain in operation. E.C. Ernst's accelerated scheduling minimizes downtime during necessary outages and brings projects to completion on time and within budget. Recognizing that each office building has its own needs, E.C. Ernst has developed a portfolio of expertise to meet every new challenge. Specialized design/build capabilities enables E.C. Ernst to accommodate projects ranging from "Class A" urban high-rises to complex data center installations. For over 75 years, E.C. 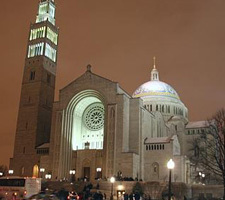 Ernst has been the electrical contractor of choice in the Washington DC area for internationally recognized religious institutions. Our experience working with and around marble, mosaic and fresco artisans in the restoration process is unparallel in the industry. We understand a church is a 24x7 operation and we are able to minimize impact of renovations to the patrons, services and events. Contact us today for more information regarding our quality services.